Get Your Service Hours by Volunteering with St. Margaret’s Center! 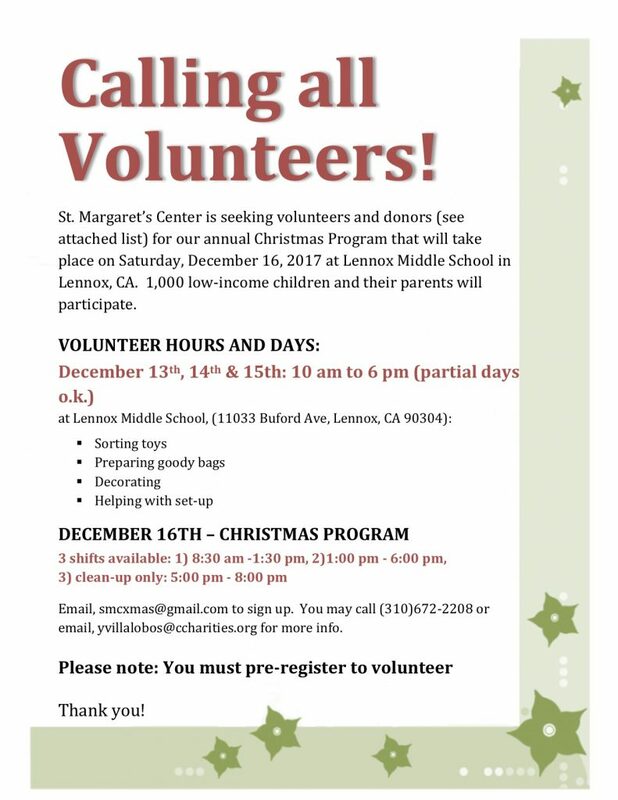 St. Margaret’s Center is looking for volunteers for their annual Christmas Program that will take place on Saturday, December 16th at Lennox Middle School. HOW TO SIGN UP? Email smcxmas@gmail.com to sign up. You may call (310)67202208 or email yvillalobos@ccharities.org for more info.